We are leading service provider of Centipede Control Services. 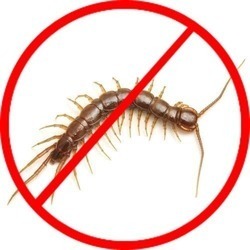 We are offering Centipedes Control Services to our esteemed clients. Our service is appropriately used in domestic, institutional premises and public buildings, hospitals, kitchen and restaurants etc. This service can be customized as per the specifications and requirements of our esteemed clients. Our services are gettable at best industry rates. Having a clear idea about the demands of our customers, we are actively committed in presenting Centipedes Control Service. We give some-time with our customers so as to understand their demands related to budget and then deliver them to our customers so that our services match with their demands completely. Our company has gained name and fame for offering Millipede Control Service to the clients. This service is specially used at residential complexes, corporate offices, restaurants, production houses, pharmaceutical units, and many other areas. Our team is specially trained to tackle threat posed by the pests. Brown, with 2.5 cm- to 4 cm-long bodies and up to 200 pairs of legs, millipedes are frightening. Like the earwig, these creepy crawlers prefer to be outdoors in damp environments. You’ll find them in your flower beds and under vegetation. This being said, they can come indoors and hide in dark spaces. 1. The thorough runoff residual spray will cover a band of 2 meters i.e. one meter wide floor and one meter high wall sides at the external wall and floor junctions. The drains, gutters have to be sprayed thoroughly with a suitable residual chemical. Centipedes belong to class of Chilopoda. The name centipede, which means “100 legs, can be somewhat misleading: centipedes may have anywhere from 15 to 177 pairs of legs. Centipedes are elongated, with flat, segmented bodies that contain a pair of legs per segment. Also called \"thousand leggers\", have between 30 to 90 pairs of legs. The species with the most legs are the Illacme plenipes, having more than 333 pairs of legs. - Many different species. 7–50mm in length. - Narrow and cylindrical with many body segments. - Each body segment has two pairs of legs 17–100 pairs of legs.